Aya Hirano, Yuko Goto, and Minori Chihara talk about their different voice-acting backgrounds; Hirano was a child actor, Goto was a college dropout and ex-AD, and Chihara started after graduating high school. 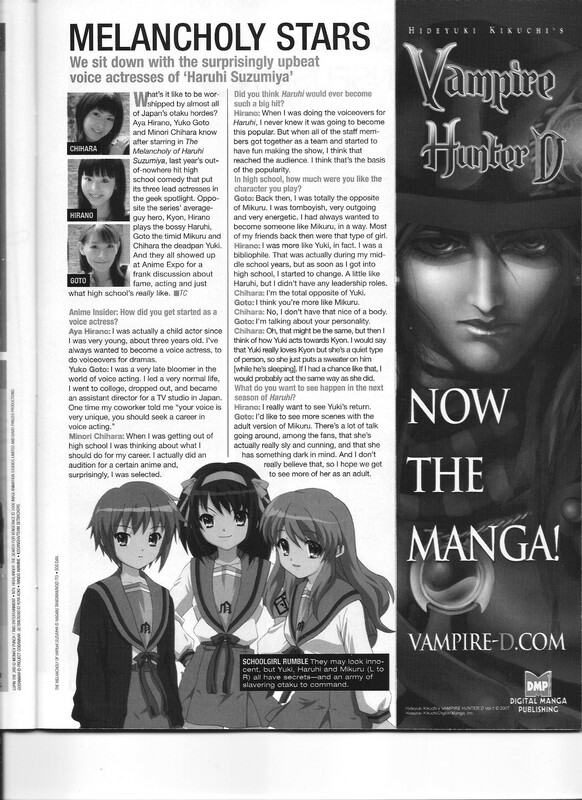 This entry was posted in Old Magazine Articles and tagged Anime, Aya Hirano, Borderline Plagarism for the Freedom of Information, Haruhi Suzumiya, Minori Chihara, Yuko Goto by torisunanohokori. Bookmark the permalink.